New York teachers should vote no on the proposed union contract — for love and for money. I know you’ve given the proposed UFT contract a lot of thought, and have heard a lot of talk about it among co-workers and with parents. I know there’s plenty of confusion, and little in the way of what seems to be objective information about a document that will shape your life at work for a very long time. I would like to step back from the minuteness of this discussion for a moment, and discuss the nature of the work we do..The press likes to portray teaching as a job for the indolent — those languorous summer vacations, the short work day. These people are lying, and they know it. Teaching is exhausting work, and it extends well beyond the time we spend in the workplace. Every teacher works a “second shift” without compensation at home. This is the time we spend grading papers, writing plans, and (increasingly over the last few years) completing tedious and purposeless paperwork to fulfill “accountability” mandates. That “second shift” tells us a lot about the work we do — and how it is valued. Why, after all, do we consent to doing it? Because we might get a “drive-by” observation and be scored on a rubric the next day. But also, of course, because our children deserve it. Last week was Teacher Appreciation Week, when everybody points out that we do this unpaid work at home “for the love of it.” This love is supposed to be part of the compensation of doing our job. But people are less comfortable considering that love is not compensation; love is work. I’m always amazed at how my colleagues labor for endless hours outside of their paid workday; at the money they pay out of pocket for school supplies. Hundreds of dollars of every teacher’s wage is put back into the system each year in these meagerly compensated expenses. Ask any teacher why, and they will tell you that they do it because they love “their” kids. We do, of course, love our students. But we also can’t allow this to be used as blackmail for accepting less than our fair share. Love for our profession and for other people’s children has its costs: in the attention we pay to our own children, in the toll it takes on our own mental health and well-being, in those out-of-pocket expenses. We shouldn’t deprecate the importance of having time for our own families, our personal health, our spiritual and mental well-being. We can’t be effective teachers if we are stressed, tired, and impatient. For teachers, loving is part of our job, and we work and love very much. It’s exhausting, loving and working so much, for such little pay — which explains why over 32,000 mid-career teachers have left the system over the past eleven years. We can’t live on these wages, and we have only so much love, and time, to give. It’s not only exhaustion, of course. We have been under a sustained attack for years, from the media, from self-styled “reformers,” from politicians in both parties. The threat of standardized tests and the disastrous consequences of poor student performance looms over us like a dark cloud. We’ve been slandered as greedy, lazy, incompetent, and overpaid, and we sometimes feel like we have very few friends. We can only counter that isolation if we make it clear that the conditions of our labor are also the conditions under which our students learn. Our union president wrote an editorial the other day talking about how under this contract, teachers will drive school reform. Out of a desire for “collaboration,” we will be doing the dirty work of our enemies — not necessarily our cozy new Chancellor or our liberal mayor, but the forces looming behind them: the financial and real estate interests, the venture-philanthropists, the charter school privatizers, the testing profiteers, and the Democratic Party hierarchy. These forces have made considerable progress in dismantling the public system, and they have no intention of going backwards. We can’t collaborate with those who seek to destroy us. I want no responsibility for the kinds of reforms these people are selling: they are dangerous and will eradicate what remains of the democratic, humanistic tradition of public education. We should know by now that these innovations are toxic — not only to us, but also to the students we serve. These kinds of education reforms have created a system in New York that is, as a recent study showed, the most segregated in the nation. Teacher morale is at an all-time low. Suicides among our students are at epidemic levels. This contract codifies testing as a part of teacher evaluation at the same time that tens of thousands of parents across New York opted their children out of high-stakes testing. It proposes “innovation schools” with “thin” contracts, implying that our rights at work are somehow an impediment to good education. It makes it easier to fire teachers who lost their jobs as a result of budget cuts and school closures. It divides us with merit pay and undermines our integrity as a union. It does nothing to address our swollen class sizes or stanch the teacher exodus from the city. What interest do we have in “driving” such reforms? We also know that our union president has said “the cupboard was bare” — that retroactive pay is not a “God-given right,” and that we should be satisfied with this money being further delayed. If workers have not won the right to be paid for the labor they have already done, then the labor movement has fallen very far indeed. This is money that we are owed, and that those of us who are those mid-career teachers that will have to leave the system in the next few years — who can’t continue working for these wages — will never see. The proposed pay increases fall below the rate of inflation, our rents continue to spiral upward, and every year the conditions of life for working New Yorkers gets worse. We’ve been told by our union that if we vote this down we will go “to the back of the line” — that we could be waiting for years for a contract. We were told that if we could just wait out Bloomberg, we would be richly rewarded. Yet here we are, still waiting. To say that there is no money in New York for teachers and city workers can only make sense in the cramped imagination of union officialdom. There is money for high stakes testing, there is money for consultants, for metal detectors and prisons, for Wall Street. There are limitless tax incentives for the luxury condos that are taking over our neighborhoods like a cancer. Billions of dollars circulate through our city every day. When we say there should be money for us, we are saying that our city should value its schools and its workers as much as its financial institutions and real estate. Talking about those larger issues means stepping outside the current narrow frame of debate and challenging the larger forces that set the limits for this discussion. It means acknowledging that there’s no fix for education that doesn’t also challenge the racism and inequality of our wider society. It requires courage and vision, both of which are in short supply among the powerful. If we vote “no” on this proposed deal, we will, of course, be attacked in the press as greedy labor aristocrats. But this isn’t only about the UFT, and we can’t talk as though it is. We must challenge the idea that we are somehow not deserving of a professional wage. But we also need to point out that this deal will set the pattern for hundreds of thousands of other city workers. Saying no to this deal is about drawing a line for the entire working class of New York City — about saying there is a limit to what we will suffer and how little we will accept. Many of our students’ parents are city workers: they drop their kids off before making their way to operate buses and subways, to pick up our trash, to direct our traffic and clean the offices of City Hall. This is not only about us, it’s about solidarity with the rest of working New York. It is about making our city a more humane place for the people who love it enough to keep it running. That is the language we need to speak in. A contract is a negotiated settlement on the conditions of exploitation under which you will spend most of your waking life. Don’t accept arguments that this offer is “the best we can get” from anybody who won’t have to work under its terms. Not from liberal mayors, not from union leaders making generous salaries on your dues money, not from newspaper editors; it’s your life under discussion, not theirs. I hope you will join me and the majority of teachers in my school in voting no on this contract. By all means, do it for the money. But also, do it for love. 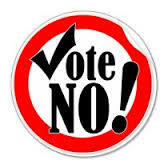 All in our school are voting NO! Keep up the good work. It’s amazing how things change when I read this and other anti-Mulgrew websites. Before the MOA was out, all I read here was how we will never get the 4% & 4% retro and that we would have to give major givebacks. Well, we are getting the retro and there are ZERO givebacks in addition to some great gains like more money going forward(plus additional retro raises from 2013 & 2014), a better configuration of the workday where educators can have real PD, parent out-reach and time for paperwork. Oh, and a mechanism to actually grieve paperwork, plus a real plan to get ATR’s back in the classroom. There is nothing not to like about this contract, unless you have a political agenda. In terms of the vote, my school of over 380 members will be voting yes. And Sancus, please tell me what my political agenda is. I have no allegiance to any caucus. Im not running for any office, position etc… Unless you can prove otherwise, kindly stop accusing NO voters of just playing politics. If you compare the recent TWU contract to ours ( pay only of course ); you will see that they got their two 4 % in previous contract. Inn subsequent years they do a little better. the key is that the increases were paid right away and evrything else as well. This is a scam contract, as it is uncomprehensible and divisive.